Sponsored by the Clean Energy Council, the All-Energy Conference featured everything from saltwater batteries to solar-powered beer! Showcasing innovative solar and battery solutions, this conference demonstrated that the renewable revolution is here to stay. And in light of South Australia's recent state-wide blackout, who could say 'no' to energy security? Over 150 exhibitors attended the event at Melbourne's Convention and Exhibition Centre, including top speakers such as AGL’s CEO Andrew Vesey, Tesla Energy’s Heath Walker and Jetcharge’s Tim Washington. The theme of the conference could very easily have been energy security, as solar and battery storage took centre stage. The innovation occurring within these technology sectors is cutting-edge, and makes the idea of shared solar in strata look a lot more functional. What was once dismissed to the “too hard basket”, could very soon be reducing strata energy bills and providing long- and short-term energy security for properties. A break-out session of particular interest was the case study of Pingala’s community solar project on the Young Henry’s Brewery in Sydney. This project is on the way to abating 127 tonnes of greenhouse gas emissions each year by powering micro-brewery operations. Pingala is open sourcing the legal documentation for this project so other community groups such as strata communities, can easily follow in their footsteps. 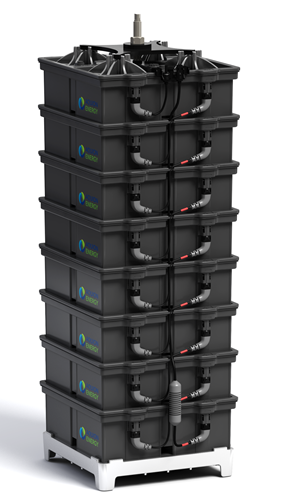 Batteries were causing a lot of buzz, with over 10 companies displaying lithium ion, zinc bromide, lithium ferrous batteries and Aquion Energy showcasing their safe and sustainable saltwater battery (below). Other notable exhibitors were Tesla, featuring both the Powerwall and the latest Tesla Model ‘S’, and Enphase with their inverter and battery offerings. Solar startup companies have also come into their own, and received a lot of attention from big players. Solar Analytics recently received a $4.4m investment from AGL for their solar monitoring solution, and Redback Technologies has received $9.3m from Energy Australia for their hybrid solar inverter. This demonstrates that the large energy companies are starting to take energy disruption seriously. And in a tribute to German precision engineering, a German “oom-pah” band entertained the audience at the grand networking drinks along with pretzels. For those that missed out, you can already register for All-Energy 2017. Read more on the Pingala Community solar project to hit the roof of Young Henry's brewery. 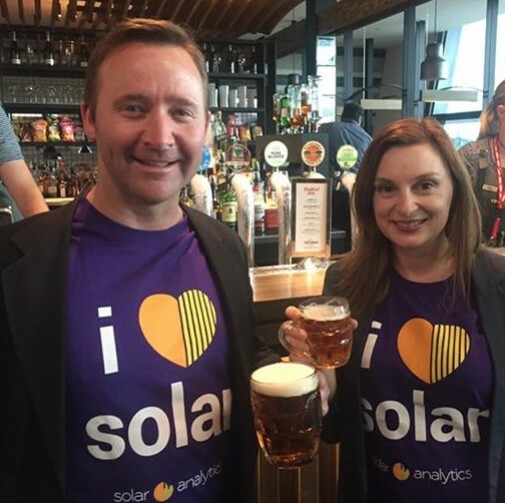 Then see how Sydney Startup Solar Analytics is going to change residential solar globally. Copyright © 2017 Investment Advantaged Software Pty Ltd, All rights reserved.